It is hard to believe summer is coming to an end as is another Grange year coming to a close. With that we can smell the changing winds in the air and the buzz of activity as we gear up to our State Session. It is that time for all Grange members to be looking toward the next Grange year. What will 2015 look like in your Grange and community? I have said many times that our history is written, it is up to us to write our future. How will you as a Grange face the new challenges in your community? How will you as a member commit to your Grange the support needed to advance your Grange’s mission in 2015? These questions are important as we continue to impact the 54 communities we currently serve, but especially important as we look to expand into communities we currently do not have a presence. Our success as an organization lies directly in the Community Granges. We are a grassroots organization and your success dictates all other levels success. 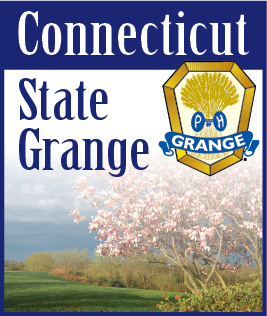 We must all develop plans for our Grange, both that impact our members and our community. These plans need to be all-encompassing to include all members, new and existing. Remember, there is work for all, and this work can and should be fun, building a bond among members that strengthens us as a “family” and promotes an atmosphere of idea generation and cooperative exchange. I can assure you that our future looks bright from here.